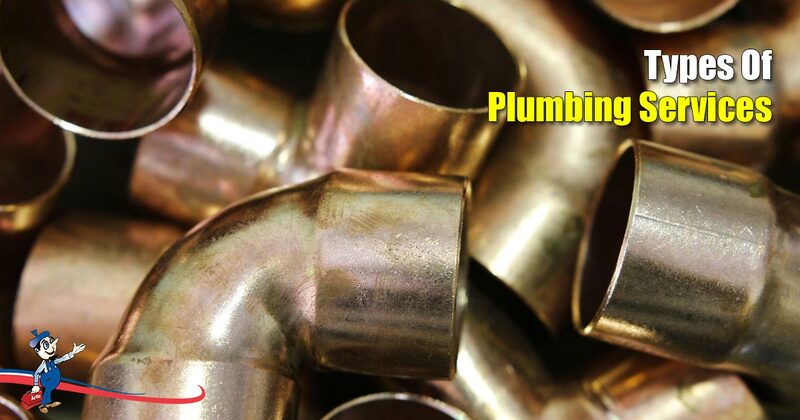 Art Plumbing, AC & Electric has been providing Florida with quality plumbing service for over 35 years. With heavy storms and hurricanes being common, we offer emergency services specific to the area such as drain clearing, slab leak detection, and sewer repair, to name a few, while also catering to day to day plumbing needs such as plumbing inspections, installation, and leaks. Plumbing emergencies can include quickly repairing problems such as surprise plumbing or gas leaks, emergency drain clearing, clogged drains or pipes, water heater repair, and any other immediate fixes. Our services are often needed unexpectedly due to the high rate of storms we receive here. By calling our Emergency Hotline at 1-800-475-1504, we offer our guaranteed service when you need it most. Water is essential to our everyday lives, and leaking pipes can cause annoyances and significant damage. Whether it’s a toilet, faucet, or pipe, leaks can lead to higher water bills, mold, or corrosion. Root Obstruction: Roots can burrow into your pipes, especially ones with existing cracks. Water Pressure: Pipes and fixtures can have a hard time adjusting to changing water pressure. Corrosion: Homes with copper, clay, or galvanized pipes have a higher chance of rust or wear. Slab foundations are common to Florida as they minimize the risk of flooding because there is no crawlspace or basement under the home, but the plumbing is located directly under the home and can suffer from pressure and corrosion over time. Our technology allows us to correct these problems without causing more damage to your home. As the home settles, it can cause the pipes to shift or crack under pressure. Slab leaks can lead to problems such as shifted or buckled foundation, flooring and carpet mildew, and a flooded yard. Whether you’re experiencing slow drains or clogging, our technicians promise to clear your drain when you need it. Emergency drain clearing is often required in Florida as a result of intense summer storms and flooding. Other reasons we are called out range from children flushing toys to older, backed up drains. Our emergency services not only fix the problem but will also diagnose further action. Our thorough plumbing inspections cover small places such as faucet and dishwasher connections to more pressing issues such as pipe leaks and water damage. Many home inspections often overlook plumbing aspects that can cause significant damage later. Our inspections use fiber optic cameras attached to drain snakes, allowing us to get a deeper look at the problem quickly. Inspections discover obstructions such as tree roots, eliminating the need for extra plumbing work and saving you money. Gas leaks are often easy for people to notice because of a sulfur smell they release. However, it is often hard to track down the exact location of where the leak is occurring. At Art Plumbing, AC & Electric, we use a process of smoke testing where air is pumped into the lines and then observed to see where the smoke is released. Smoke testing is an effective way to pinpoint larger leaks in complexes or neighborhoods. Escaping gas is a serious issue due to its explosive nature. Updated fixtures are beneficial because they make your home look more modern and are more efficient, which leads to a lower water bill. People often think of sink and tub faucets, but plumbing fixtures also include dishwashers, toilets, and garbage disposals, to name a few. Whether performing a full remodel or just a quick upgrade, hiring our professionals to install plumbing fixtures means proper installation, which will prevent leaks and slow down corrosion. One benefit of our inspections is that they will diagnose needed repairs to your sewer line. Line problems not only can cause short term problems such as backed up drains or clogged pipes, but also long-lasting issues like broken pipes and leaking joints. Like with many plumbing problems, the causes of sewer repair are often impacted by the storms and humid climate of Florida. Whether extra water has caused your lines to become corroded over time or caused lines to become blocked and cracked by tree roots and other debris, our technicians are available every day of the week. Much like sewer lines, it is common for pipelines to wear down, crack, and break over time. Gas line problems can affect outside lines such as barbecues, fire pits, pools, and hot tubs or inside lines like water heaters, dryers, and stoves. Often the need for repair or replacement goes unnoticed until a home goes under remodel where lines need to be updated or moved. Another reason hinting towards the need for repair or inspection would be an increase in your gas bill. Many plumbing problems can be prevented or cause less damage by installing a flood protection system. Having us install the PipeBurst Pro not only lets you remotely track your water use but also automatically turns off the water when a leak is detected. Flood protection systems are very beneficial for people who often travel as they can control their pipes remotely. This is also true for owners of commercial buildings or rental properties. No matter the plumbing issue you may face, you can be sure that Art can fix it! Our technicians are available Monday-Saturday 8AM-8PM and Sunday from 8AM-5PM. As always, we understand the need for plumbing services can arise at any time, meaning we don’t charge you extra on the weekend – Give us a call today at 1-800-475-1504.